When this graphic was posted on Facebook a few days ago, it was shared widely and resonated with many of us. In so many ways the computer and the Internet have profoundly affected our view of nature, and ourselves. Technology itself has been a double-edged sword. The proliferation of information and the requirements to keep up have stressed and overwhelmed many; for example, it was not so long ago that one had to “dial in” to get a web connection through a modem—now many of us are always connected, even while walking or driving. No wonder so many have turned to meditation. 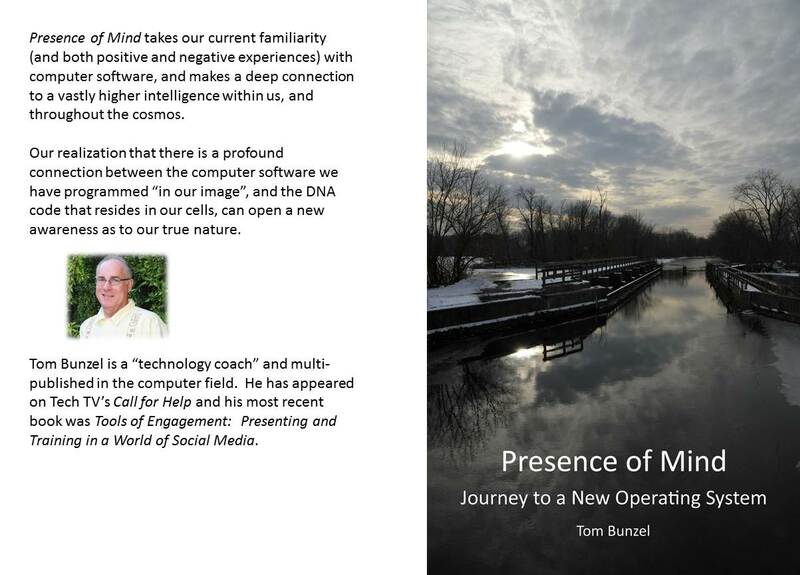 At the same time the Internet has acted as a planetary nervous system, connecting us in ways we never thought possible and also making many ancient teachings and practices that were once kept secret (such as meditation) suddenly available to everyone. As with everything else online, one has to be an intelligent and wary consumer, but it is no surprise that so many sense a deep connection between the advances of technology and our own personal growth and even our evolution as a species. But the intersection has been most profound, as this graphic suggests, between the experience of computer software as a manifestation of intelligence and our own internal processes—and in fact we now know that DNA can be sequenced by supercomputers so in reality it is software that runs our breathing, digestion, circulation and nervous system. But how far can the connection be taken? And let’s not look at this figuratively anymore. Developing an inner witness to one’s processes is in many ways like meeting the programmer or developer of your inner software. In fact, when the sense of “control” is relinquished, one has a sense of sort of “reading one’s inner manual” – and things begin to make sense from a vastly higher perspective. 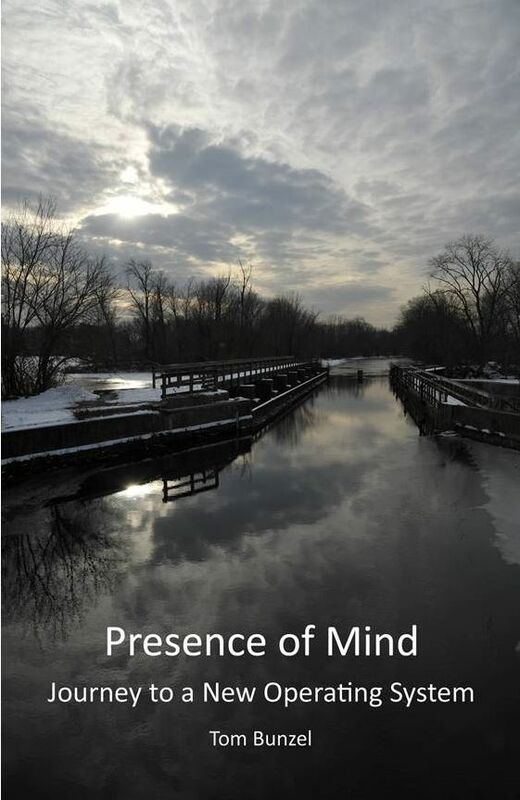 When we begin to accept and no longer resist the automatic programs that run – anger, resentment, negative emotions and in fact download new connections to a higher level of consciousness – compassion, empathy, heartfelt union and so on – many inner and outer conflicts seem to calm down and our environment begins to reflect our newly formed inner harmony. A practice of nonduality is similar to meditation (and the graphic above) in that as one begins to notice that one is the witness to inner processes – thinking, sensation, and feelings one realizes that one can be actually be none of those things—and all of these things come and go but one’s being is “always on” and connected – like the Internet. If we go just a bit deeper one is struck by the true nature of programming—the primacy of number and logic within everything that runs on a computer—all programs and files are just zeroes and ones that can be decoded like our DNA. But on our computer there are also two distinct classes of entities – files (like documents or pictures) which are blobs of data or “things” – and programs which actively perform tasks, achieve potential, and complete intelligently formed intentions. Like our current dualistic language of subject and object, our relatively simplistic computer programming (compared to the programs within Nature) is composed of verbs and nouns (programs are verbs, files and nouns. But what about our “operating system”? Like Windows, Linux or the Mac, we are verbs not nouns – programs not files. Our operating system (on the computer and within our bodies) is constantly ON – monitoring the different “states” of our being even when no other “program” is running. And when we meditate, and observe these inner states without calculation or judgment, we are truly logged in – that is, profoundly connected to the silent intelligent awareness within us and in all of nature. Ohm – in electrical terms. (no resistance) Om in spiritual terms. Namaste.